After seven successful seasons, AMC's Mad Men is coming to an end this weekend with the series finale "Person to Person", airing Sunday, May 14. 20th Century Fox's Hitman: Agent 47 is saying goodbye to the show in its own unique way, with a new TV spot that parodies Mad Men's opening credits, teasing that the man falling from the high rise was actually shot in the head by Agent 47 himself. While legions of fans have been speculating how Mad Men will come to an end, it doesn't seem likely that an assassin will take out Don Draper (Jon Hamm), but you never know. Rupert Friend stars as Agent 47, with a supporting cast that includes Zachary Quinto, whose likeness you can actually see briefly in this video, Ciarán Hinds, Thomas Kretschmann, Hannah Ware, Emilio Rivera, Dan Bakkedahl and Rolf Kanies. Aleksander Bach directs this adaptation of the popular Square Enix video game series, which arrives in theaters August 21. 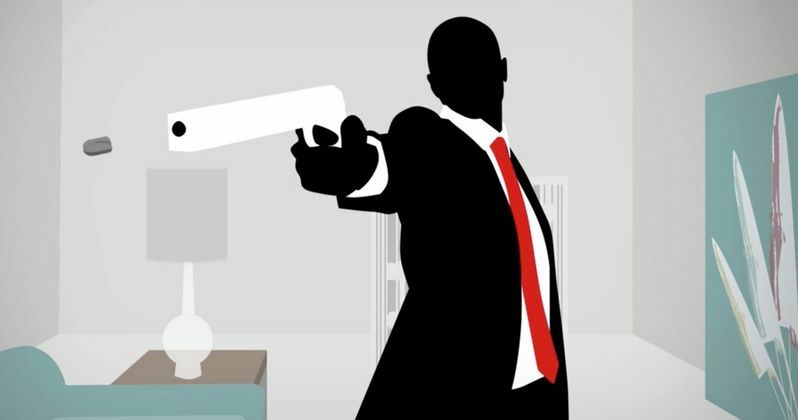 Check out the video below to see how Hitman: Agent 47 bids farewell to AMC's Mad Men.